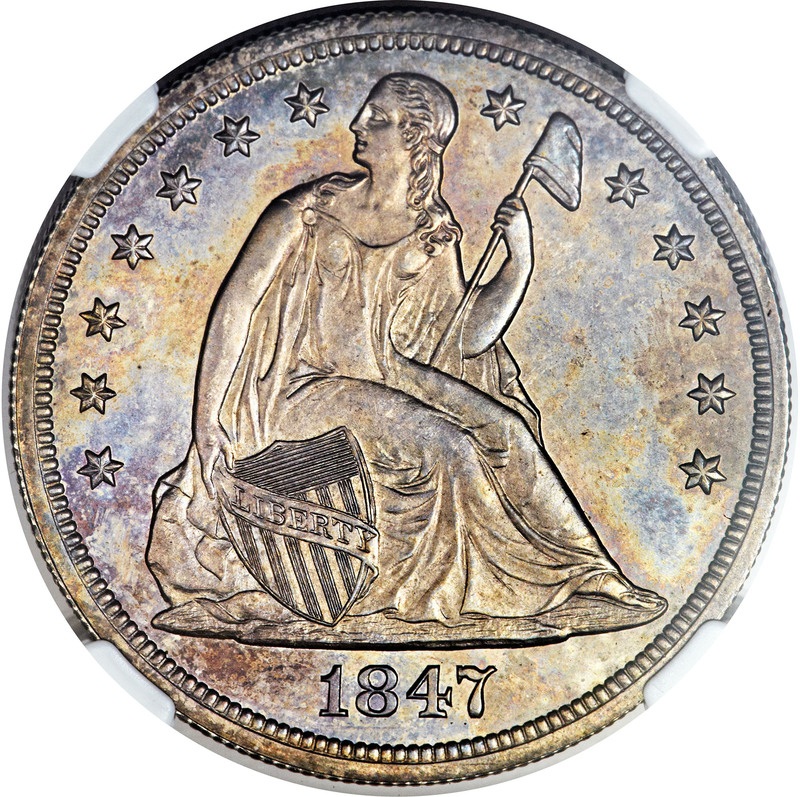 The 1847 dollar is extremely rare in proof format. The Phil Kaufman specimen, from the Floyd T. Starr Collection, is tied for the finest certified. 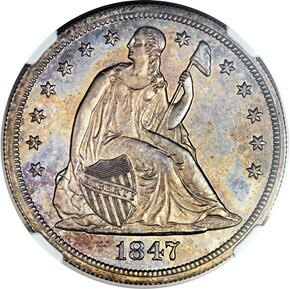 Exact mintage figures for the 1847 proof dollar are unknown, but are generally estimated to be between 20 and 30 pieces. 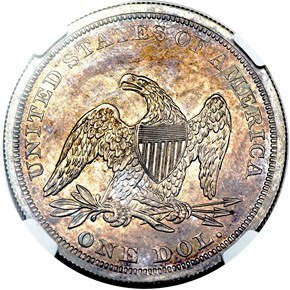 David Akers (1998) suggests 10 to 12 examples are known, while David Bowers, in A Buyer's Guide to Silver Dollars & Trade Dollars of the United States, estimates the number of survivors to be in the seven to 14 range. Weimar White, in his Liberty Seated Dollar reference, estimates that fewer than 10 specimens are extant, and Walter Breen, in his Proof Encyclopedia, lists nine examples.